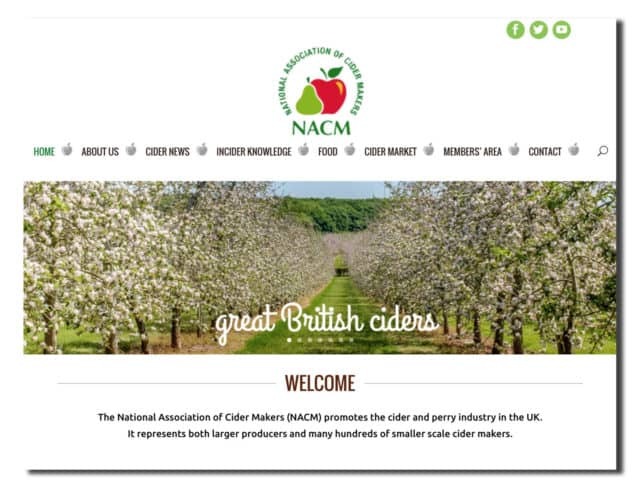 As part of the initiative to engage more cider makers and fans, the United Kingdom’s National Association of Cidermakers, which was founded in 1920, has redesigned and relaunched its website. The association has been busy changing the way it operates, and is now a bigger and better operation as a result. The newly redeisgned website will showcase the importance of using cider apple varieties and the cider-making process. Cider and food pairing, a growing trend, will also be explored on the site, with suggestions for matching the perfect cider with any meal. The site will also spread “Incider Knowledge,” like Cider Lore, a graphic timelime depicting the discovery and worldwide growth of cider as well as videos showing Wassailing. The association also added that they will have a more active presence and greater engagement on social media through Twitter and Facebook.